Welcome to West Palm Beach AC Repairs & Service, where we are your best local air conditioning company in West Palm Beach with the best maintenance repair services around the clock. Whether you’re all the way out west in Loxahatchee and Wellington, or out east by Palm Beach Inlet and Delray Beach, we’re the best ac maintenance company in Palm Beach County. We offer 24-hour air conditioning repairs for special emergencies, and the most trusted ac repair company around. Some of the biggest problems we see homeowners and renters face in South Florida is with the air conditioning unit starts freezing up. This can definitely be a frustrating problem, especially when the summer hits and the temperature consistently hits 90 degrees every day. Don't worry though, as your top South Florida AC Service Repair Company, we’re here to make sure you stay cooled down during the hottest days of the year. Need an AC installation done in your home or your rental property? We’re the company for you. We have the best prices and service costs to get your new unit up and keeping your family cool in no time. Whether it’s a small air conditioning unit or replacing some large pieces of commercial AC equipment for your business, we have prices that will make your jaws drop. We don’t want you to suffer from extreme heat because your bank account went negative with ac installations. We want to keep you cool physically, and make you feel that it didn’t cost you an arm and a leg. Give us a call today so we can fix your air conditioning problems whether you’re located West Palm Beach, Lake Worth, Royal Palm Beach, or any other city in the Palm Beach County area. What about ac repairs for your unit? Maybe it isn’t cooling your home as cold as you’d like. Or maybe it’s not turning on. Whatever the ac problem is, there’s no job too big or too small that our professional ac experts can’t handle. We’ve accomplished some of the biggest jobs in Palm Beach with large commercial units, and we serve residential customers and clientele on a daily basis. We’re here for you. We want you to make sure that you feel valued and that you were the most important customer of the day. Because when we’re with you, you are our main priority. Keeping you cool is our slogan. Helping you stay cool is our mantra. Let us cool you down today. Do you have a central air conditioning issue that’s causing your office to overheat regularly and haven’t found a trusted AC repair company to work with? At West Palm Beach AC Repairs & Service, we can offer you the best air conditioning service repair costs throughout the county. As your local AC provider, we can service you at any time, and help the AC issues you may have, regardless of what type of business you may be. Whether you’re an insurance agent, a restaurant, a warehouse, a home-based business, or even managing rental properties, we the best AC repair company near you with the most competitive prices around. South Florida is no place to be with a broken AC unit. Ask any resident of the West Palm Beach area and they will let you know that without air conditioning, you can’t live in South Florida as comfortable as you’d like. The longer you go without maintaining your unit, the bigger the problem you will have to face when it gets damaged or it is in need or servicing. It’s not a matter of if but honestly a matter of when. Why? Well unlike you, your AC unit is outside in the sun 24/7 and it always working. At night, it gets to cool down itself (no pun intended). But even at night, if your home warms up a bit, it has to work to keep it cool and make sure it stays cool during your beauty sleep. So with the constant wear and tear, your unit is bound to either need a monthly scheduled maintenance or a repair, big or small. Our service technicians are certified and insured, and will do the best job in the county. 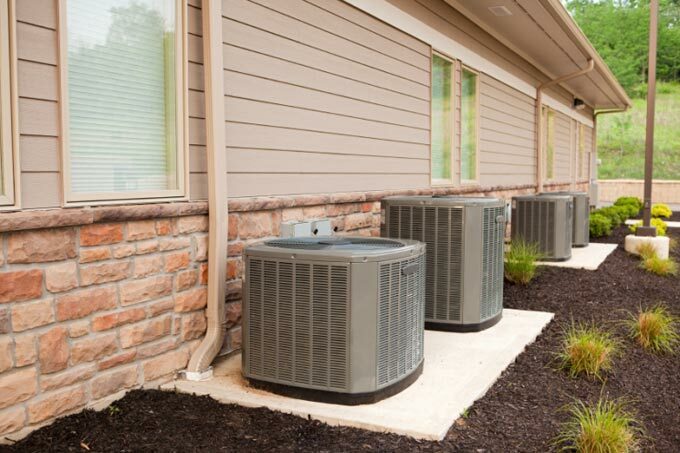 But when you take care of it with the proper AC filter and having a trusted company like us service it monthly, you guard your unit from needing a huge repair or worse replacing the entire unit. Not cool right? Thanks for taking the time to see who we are in servicing thousands of clients every year in the Palm Beach area. Call us now at 561-475-3836 for a free quote to schedule your West Palm Beach AC Repair, and mention this website for a bonus! You can also email us by clicking here or visiting the "Contact Us" page on our site.